UC Santa Cruz will kick off its third annual Arboretum Music Series on Thursday, May 17, with a concert by Austin, Texas, singer/songwriter Alejandro Escovedo, at the Arboretum Amphitheater, located off Empire Grade in Santa Cruz. The series will present folk, blues, and roots concerts on the third Thursdays of the month, from May through October. Performers this year include legendary folksinger Utah Phillips, acclaimed Celtic band Molly's Revenge, acoustic blues master Alvin Youngblood Hart, Son De Madera--performing traditional music and dance from Mexico, and ukulele virtuoso Jake Shimabukuro. All shows begin at 6:30 p.m. and gates open at 5:30 p.m.
By way of southern California, this Texas-based singer/songwriter has been creating and bending musical genres for more than 20 years. Escovedo is from a musically gifted family--his brother is Latin-jazz legend Pete Escovedo and he is the uncle of jazz-soul artist Sheila E. Alejandro, however, took to a different form of music: rock & roll. His seventh solo release, The Boxing Mirror, was produced by musical visionary John Cale. Born in 1935, legendary folksinger Bruce "Utah" Phillips is more than a musician, he is also a gifted storyteller, poet, humorist, and labor organizer. A mentor to Kate Wolf, Phillips has recorded songs and stories with Rosalie Sorrels and also collaborated with Ani DiFranco, for two CDs-The Past Didn't Go Anywhere and Fellow Workers, which was nominated for a Grammy award. The members of Molly's Revenge exhibit a genuine affection for the music they play, born out of the timeless tradition of Celtic music sessions. The band combines instruments such as the Highland bagpipes, uilleann pipes, whistles, fiddle, and mandolin against a backdrop of guitar and bouzouki accompaniment--throwing in the occasional rousing chorus song, as well as some Irish step dancing. Son Jarocho is vibrant folk music and dance from Veracruz, on Mexico's eastern coast. The son, with its bright melodies, witty lyrics, and vigorous heel dancing (zapateado), is experiencing a resurgence in modern Mexico and beyond. Son Jarocho traces its roots to African, Spanish, and indigenous cultural influences. At its heart is the rhythmic framework of the jarana, a small guitar-shaped, fretted stringed instrument. His praises have been sung by everyone from Ben Harper to Brit guitar gods Eric Clapton and Mick Taylor. Since his 1996 debut recording--the all-acoustic Big Mama's Door--Alvin Youngblood Hart has carried his musical message the world over. He was honored with the 1997 W. C. Handy Award for Best New Artist, as well as two Living Blues Awards. 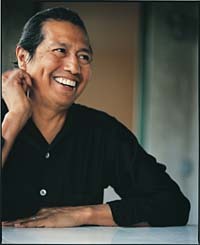 Hart's 1998 release, Territory, also received the Downbeat magazine Critics Poll Award for "Best Blues Album." Regarded as one of the world's top ukulele musicians, Jake Shimabukuro is known for his lightning-fast fingers and revolutionary playing techniques. Performing jazz, blues, funk, classical, bluegrass, folk, flamenco, and rock, Shimabukuro clearly demonstrates that the ukulele is capable of so much more than only traditional Hawaiian music. Experimenting with various guitar-effect pedals allows him to create sounds never thought possible on the tiny four-string instrument. For more information, tickets, and directions, go to the Arboretum web site, e-mail Jose Reyes-Olivas at olivas@ucsc.edu, or call (831) 427-2998.